Edit Order use to have an Uncancel order function, but this feature was removed from Edit Order in June 2018. 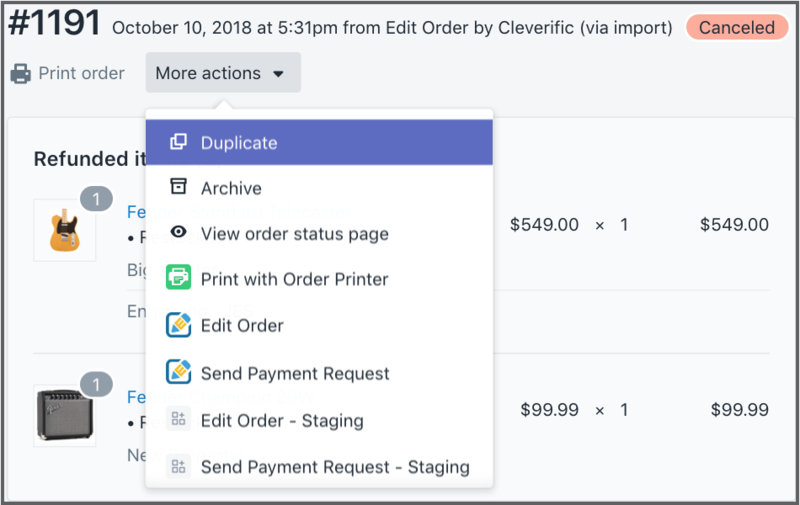 This feature was removed because Shopify's Duplicate function does essentially the same thing--which is to create a draft order with all the same details as the cancelled order. You should now be directed to a new draft order with all of the same order details as the cancelled order. Please note: refunds cannot be reversed in Shopify. If the order you are duplicating was refunded, you will need to collect a new payment from your customer.